Stumps are obviously made of organic matter. Over time, they will break down. But a tree stump will not break down fast enough to become hospitable underneath a layer of sod. Eventually, the sod that’s lying over the tree stumps will die, leaving you with dead brown patches of grass. 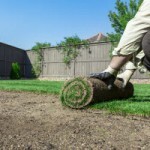 You will have a hard, raised spot on your sod wherever you leave a stump. A better way to handle the situation is to have those stumps removed and even out the soil surface before installing sod. Maybe you will decide to replace a tree that previously died. In order to plant a new tree in that spot, it’s first necessary to have the old stump ground down. This makes way for the new tree’s roots to take hold and absorb nutrients from the soil. Many tree stumps end up growing new baby trees. The last thing you want is a baby tree shooting up through your sod, right? That can be easily avoided if you get the stumps ground up before laying down sod. A rotting tree stump left in the ground becomes a haven for various fungi and insects, including termites. While these invaders all play important roles in the natural circle of life, you certainly don’t want to invite them into your new sod. Mold is bad news for grass, and termites can be absolutely devastating if they make it into your home. 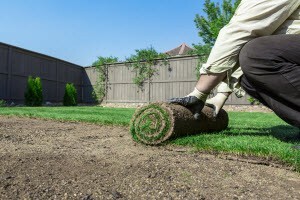 Grind the stumps first, and you will be protecting your new sod and your house from damage. For a reliable stump removal service you can count on, look no further than Su-Tree. Our 25 year track record of providing complete customer satisfaction speaks for itself. We know that Alpharetta’s homeowners take pride in maintaining their landscaping, and we are proud to be a part of that tradition. Whether your needs include tree trimming or removal, stump grinding or lot clearing, Su-Tree will get the job done quickly, safely, and completely. Our work isn’t done until you are 100% happy. Call Su-Tree at (404) 392-6935 for a free estimate on stump removal service.